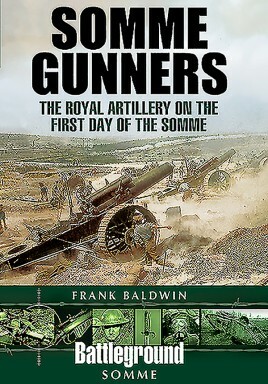 Part history book and part travel guide, Somme Gunners is aimed at anyone interested in the artillery on the first day of the Somme, as it fills a gap in the story of one of the most famous and bloodiest dates in British military history. Much has been written about the first day of the Somme. The focus has understandably been on the experience of the infantry, Kitchener’s new Army and the stories of the locally recruited pals battalions and their fate on 1 July. Much less, however, has been written about the artillerymen who fired the barrage and whose effectiveness determined whether the attacks succeeded or failed. A quarter of the British Army were artillerymen. This book contains a collection of much-neglected stories about these brave men who carried out the preliminary bombardment and gives an insight into the problems they faced. It is the only book to give the locations of the artillery batteries, which supported the attack on the first day of the Somme, and the details of the barrage fired on that momentous day. This is key information for anyone seeking to discover more about their family members who witnessed the Somme. The book also aims to help those seeking to understand where their relatives fought by providing walking and driving tours, to help visitors understand the gunners' experience and contribution to the battle.